Ever since I interviewed Norwegian black-thrashers Cleaver, their upcoming split with Chton became all the more appealing to me, not only because they're a great group of guys, but because the dedication and feeling they put into their music. Take for example their debut record. The damn thing has been recorded for at least two years, but the band have been struggling to find a suitable record company to unleash its contents. Sadly, that's an all too common occurrence today, as labels are succumbing to lack of business or favoring mainstream accessibility. 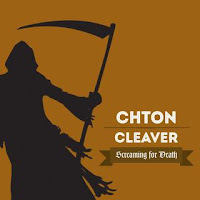 In an effort to combat the madness, Cleaver teamed up with fellow band, Chton, which houses members of Cleaver (and vice-versa), for a collaboration that only can be described as a primitive, down to the bone rocking. The result is one new track from each group that will crack your skull. Let's take a gander at what's ahead. Aptly titled Screaming for Death, Chton and Cleaver's partnership feels familiar as a romp through the better parts of black and death metal. The split, only released digitally, is available through just about every outlet imaginable, but I find myself wanting a tangible copy simply because these two bands are so engaging in their respective styles of music. Luckily, both groups promise something collectors and listeners alike will be able to get their hands on in the coming months. And trust me, material from each band is absolutely essential to a growing underground metal collection. Kicking the collaboration off, Chton storms in with a surprisingly polished take on death metal, which is a bit more sophisticated than what their bandmates Cleaver have to offer (although still vicious enough to do a number on your neck). Leaning toward the old school side of the field, "Death Awaits" is not too far removed from what veteran acts throw onto the proverbial platter, notwithstanding the modern production that lets the track hang with newer acts. However, while the production values are squeaky clean and rival digital peers, they never feel forced or fake. Chuggy, heavily downtuned riffs, along with the classic tremolo picked goodness form the bulk of the guitar playing, in turn supplemented by blast beating and extremely low growling--in other words, archetypal death metal traits, which should satisfy any metal maniac drooling for a fresh serving of aggression. Cleaver caught on their best behavior. Cleaver's section of the split deviates from what I originally knew their music as--blackened thrash metal--and approaches a full on black metal assault. Quite a change if you ask me, but I expect we'll see a back and forth cycle between subgenres on the band's album when they get around to finding a kosher record label. "Your Screams Will Break Your Throat" is definitely my favorite track on the split, mostly because the abundance of crass charisma and rawness, but Chton's song still holds its own and serves as an attention-grabbing contrast due to the production differences. 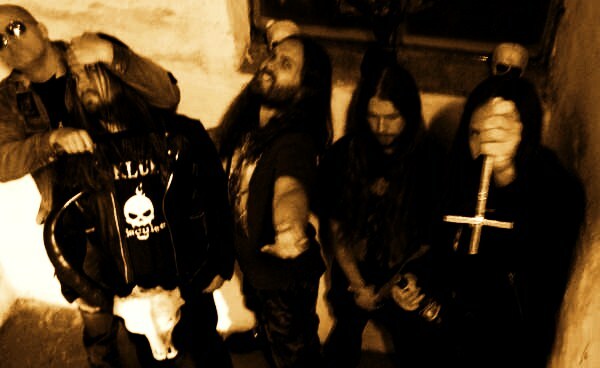 On Cleaver's end of the stick, the band employ a warm, enclosed type of sound, unlike the clarity seen on the opposite side, and helps achieve a cruel, demoralized feeling black metal has always been well-known for. 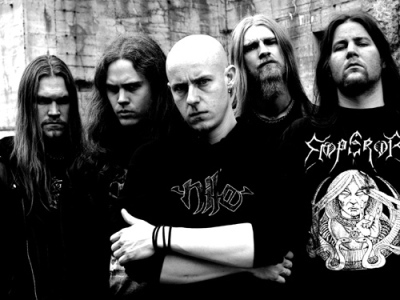 The song appears as a genuine, heartfelt product of the early nineties when black metal was getting its feet of the ground; it's accurate, precise, and time-tested. It would be an understatement to say I'm totally digging the new direction Cleaver is going in. In fact, I absolutely adore it. If this is any indication as to what's hiding on their unreleased full-length, listeners are in for a treat. Amazon and iTunes are a mere click away--Screaming for Death is certainly worth a few of your hard-earned dollars, and I'm sure the two bands will graciously appreciate your support. Hell, the dang thing is even streamable on Spotify if you're too much of a Grinch to purchase the split. However you decide to obtain Chton and Cleaver's music is your choice, but I guarantee you will walk away a happy listener because both tracks are indeed a quality take on black and death metal. As metalheads worldwide might say, let the onslaught begin.